Laura Kuenssberg was seen at the conference in Brighton accompanied by a shaven-headed man identified by the paper as a former soldier employed by the BBC to protect her. 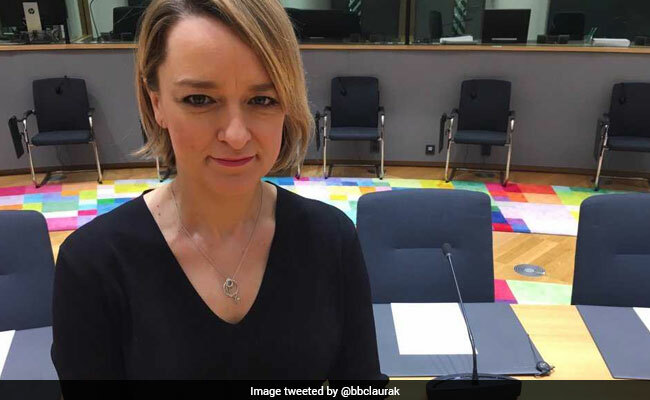 Laura Kuenssberg, BBC's political editor is accused of bias for the governing Conservatives. Brighton, United Kingdom: The BBC's political editor is attending the main opposition Labour Party's annual conference with a bodyguard after being accused of bias for the governing Conservatives, The Times newspaper reported Monday. The journalist, the British Broadcasting Corporation's first female political editor, has been the target of sexist abuse. She is also regularly attacked on websites, such as The Canary, which support Labour leader Jeremy Corbyn. An online petition for her to be sacked last year garnered 35,000 signatures before being taken down. Ms Kuenssberg has also been accused of partiality by members of Prime Minister Theresa May's Conservative Party and the UK Independence Party (UKIP). The BBC said it does not comment on security issues. A BBC insider was quoted by The Sun newspaper on Sunday as saying: "We take the safety of our staff extremely seriously." "Laura is a well-known public figure. She and her team will be covering events with big crowds where there can be hostility, so we want to ensure adequate precautions are taken."